x3 XP, Discounts and Missions This D-Day Weekend! We remember the historic events at the start of the Invasion of Normandy with x3 XP on your first victories, along with discounts on select nations' vehicles. Don't forget to check out the missions with consumable and Crew XP rewards! 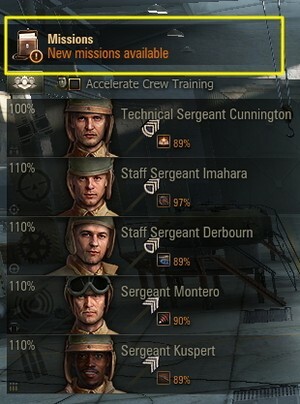 "x2 Crew XP on Tier IX & X British Tanks"
Q: How do I find the mission requirements? If you're still curious, check out our handy guide!